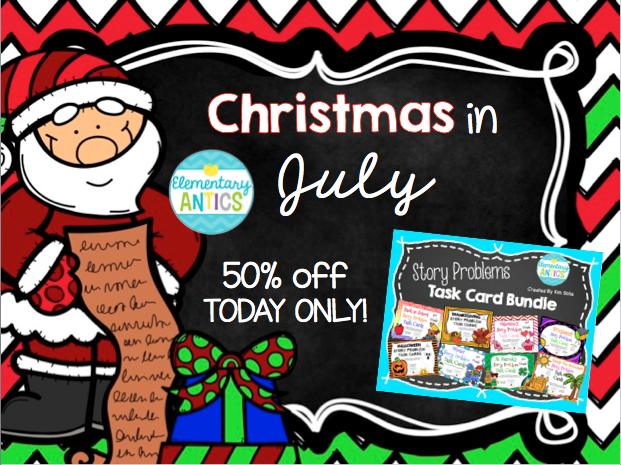 Here's a sneak peek of the daily deals I'll be offering. 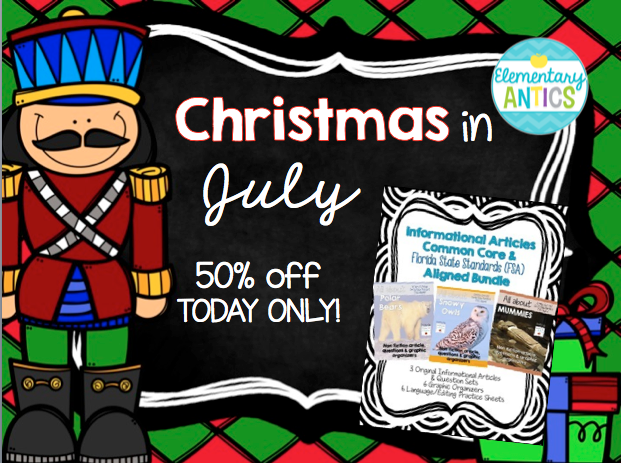 Just click the pictures to find them in my store. 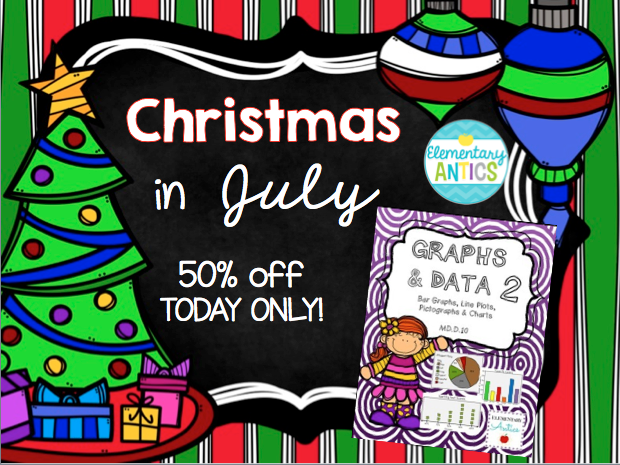 Thursday- 50% off my Graphs & Data Part 2 with bar graphs, pictographs and line plots! 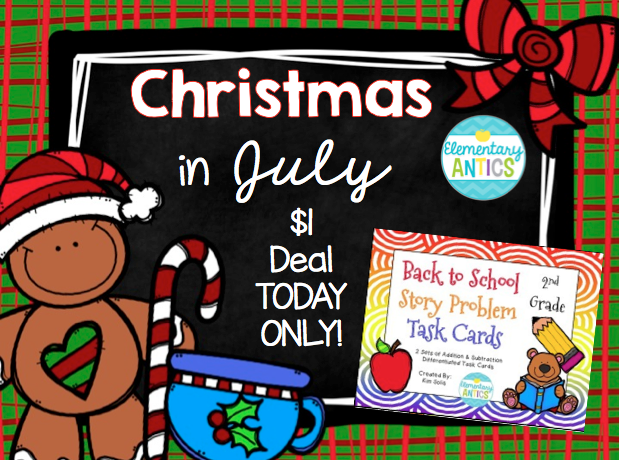 And finally, on Friday another $1 Deal on my Back to School Story Problem Task Cards!